As you all know, on top of boasting a fine stable of vehicles The Crew also allows you to spec your cars and bikes in different ways. And with so many amazing vehicles and specs to choose from, we thought you’d appreciate a hand when shopping for new rides! All Spec Offers, which allow you to purchase your dream ride in all its available specs. 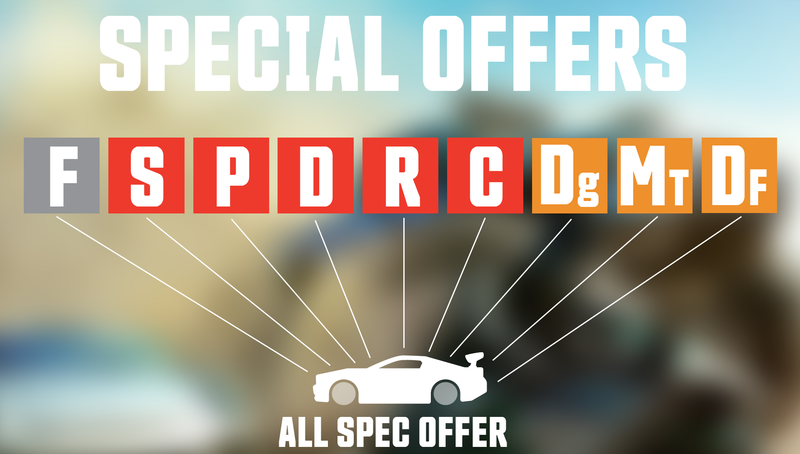 Single Spec Bundles, which will include 3 different vehicles in one particular spec. So keep your eyes peeled for these special offers at your local dealer, and grab them before they're gone! Winning a platinum medal in the monthly Summit. Buying them with Bucks earned in-game by the sweat of your brow! Purchasing Crew Credits from any digital marketplace (Uplay Store, Steam, Xbox One or Playstation Stores), to fuel your power-shopping spree! Limited time promotions - we love a good sale as much as you, so keep your eyes peeled for deals on selected vehicles or specs, specific brands or even CC packs. Time for some serious windscreen-shopping!